As Democrats have won more elections countywide, the politics around project labor agreements are clearly changing. This post initially appeared in the April 5 Morning Report. Get the Morning Report delivered to your inbox. 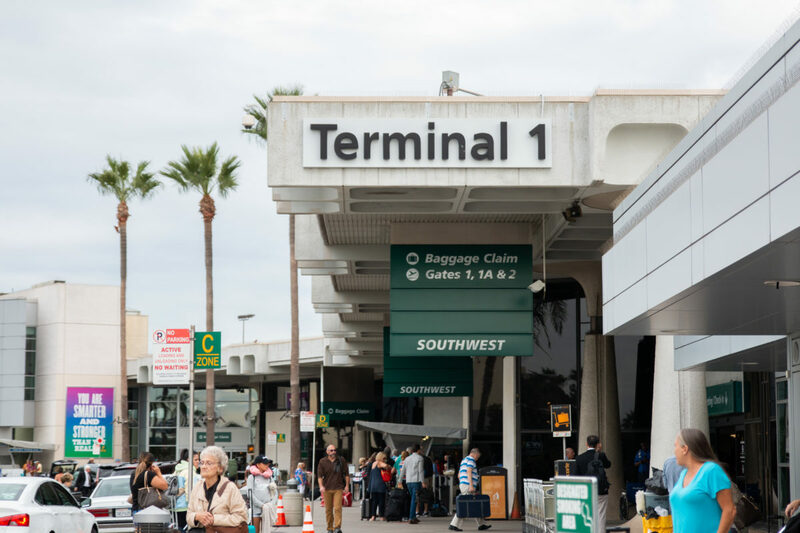 In a sign of San Diego’s changing political dynamic, the Airport Authority agreed Thursday to start negotiating a union-friendly labor deal for its $3 billion plan to rebuild Terminal 1. Ten years ago, the same agency redeveloped Terminal 2 into the state-of-the-art facility it is today. Then, the Airport Authority flatly refused to enter into a so-called Project Labor Agreement, which stipulates wages and benefits for construction workers and mandates that contractors hire through union halls. The agency has proudly touted that the project came in on time and under budget. But the Airport Authority’s plan to redevelop Terminal 1 has faced opposition from the beginning and has already been delayed at least a year at an estimated cost of $100 million. By agreeing Thursday to the PLA, the Airport Authority’s board could have evaded one more obstacle that could have delayed the project further. Agency staff argued to the board that the economy today is so different than it was in 2009, when it rebuilt Terminal 2, that its reasons for refusing a PLA then no longer apply. Labor is in short supply, so striking an agreement that guarantees it won’t face a work stoppage is a worthwhile trade-off for making it harder for non-union contractors to compete for work, staff said. The resolution passed narrowly, with County Supervisor Jim Desmond leading the opposition. San Diego Councilman Mark Kersey, a Republican, voted in favor of the decision after radio talk show host Carl DeMaio threatened to campaign against him on social media if he did. Kersey did propose an amendment directing staff to negotiate an agreement that addressed some concerns of PLA opponents around how employee health care and pensions are paid for. PLAs remain contentious issues for non-union contractors and business groups like the Chamber of Commerce that view them as increasing costs. But as Democrats have won more elections countywide, the politics around them are clearly changing. Ten years ago the Airport Authority felt comfortable refusing to ink one for a major capital project. This time around, it didn’t bother with a fight. The next month, Gonzalez killed the idea of folding the Airport Authority back into the Port. Last summer, the Airport Authority released its Terminal 1 redevelopment plan, and was summarily pummeled by every major agency in town for not committing to pay for part of a transit connection as part of the plan. In November, Mayor Kevin Faulconer jumped into the fray, calling for key figures to get together and figure out how to include a trolley connection in the redevelopment plan and get everyone to stop fighting with each other. At the beginning of the year, Faulconer and SANDAG’s new director Hasan Ikhrataunveiled the vision to come out of those meetings, a so-called San Diego Grand Central that would be a new transit terminal at the home of the current SPAWAR property, that would also connect to the airport.